Mr. Don Jaramillo has been in education for thirty-five years, twenty-one years at Etiwanda High School in Rancho Cucamonga, and five years at Sierra Vista High School in the Baldwin Park USD as Director of Bands. While at Etiwanda High School, the instrumental music program earned National reputation in the areas of Concert, Jazz and Marching Band. He has served as guest Conductor for Jr. High and High School Honor Groups in California, Arizona, Nevada and Colorado. He is also an adjudicator in the areas of concert, jazz and marching bands throughout California and the United States. Mr. Jaramillo has served the Southern California School Band & Orchestra Association as President, VP of Music List, VP of Field Adjudication along with serving on several steering committees. Additionally, he has also spoken at various music educator confer-ences (Colorado Band Masters and Arizona Music Educators to name just a few) including several SCSBOA fall and winter conferences. In 2005 Mr. Jara-millo was recognized by the John Philip Sousa Foundation and was awarded the “Sudler Shield of Merit”. 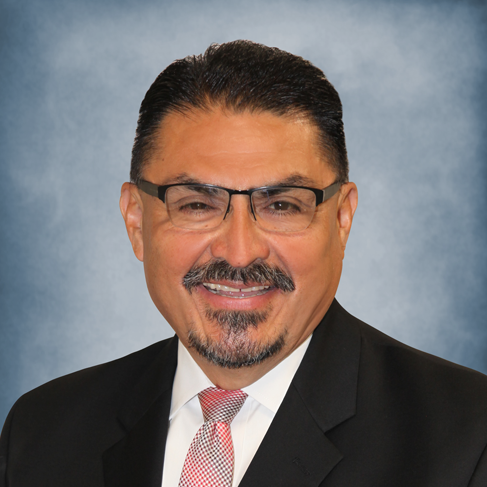 In 2007, he received the “Golden Bell Award” from the State of California School Board Association and in 2009; Mr. Jaramillo was awarded the prestigious Life Member Award from the SCSBOA. Mr. Jaramillo currently serves as Principal at Etiwanda High School in Rancho Cucamonga.